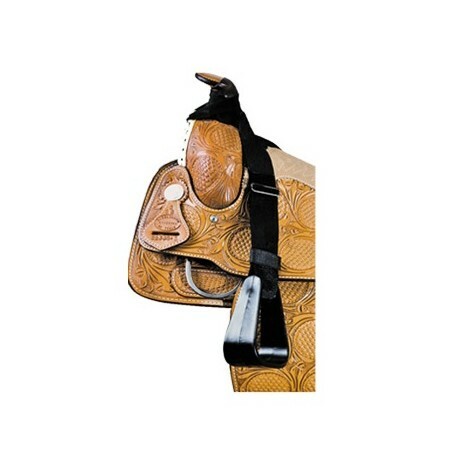 Heavy, adjustable nylon stirrup leathers attach to the horn of Mom's or Dad’s saddle. Elastic retaining strap keeps them securely in place. Available with rugged Pro-Tuff stirrups.